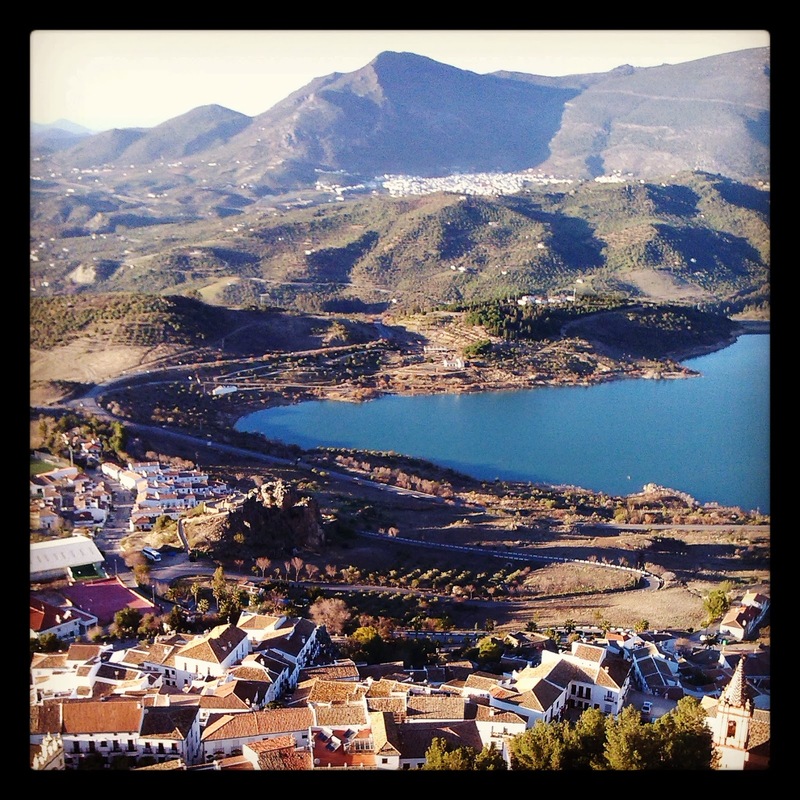 The village of Zahara de la Sierra is one of the most striking white villages in Andalusia we’ve seen. It is perched on the side of the Sierra de Grazalema mountain, hugging a cliff that sticks out from the landscape. The area around it is stunning: it is surrounded by gently rolling mountains and right at its foot there’s a reservoir which bears the same name. To be able to get to the village you have to drive across the dam. 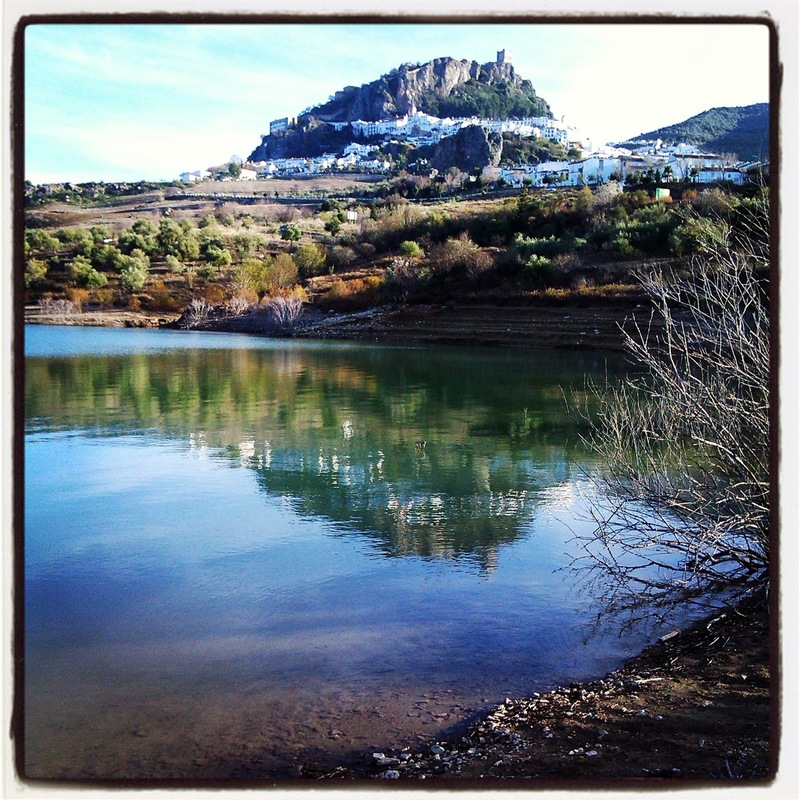 Many people stop to admire the view of Zahara reflected back on the surface of the water. The village has a long history. Due to its unique location the Moors built a little fortress on the top to control the area between Ronda and Seville. The remains of the castle can still be visited. To reach the tower you have to walk up Zahara’s many steep roads. There’s a little car park at the foot of the castle but you have to be very lucky to find a place there. The path that leads up to the tower is gorgeous, not only for the lovely views of the Zahara reservoir but also for the many almond trees that line it. We were there in the middle of January but the flowers were already blooming. That is Andalusia for you! The tower itself is an adventure itself as the stairs are hidden away and you need light to walk up the first flight! 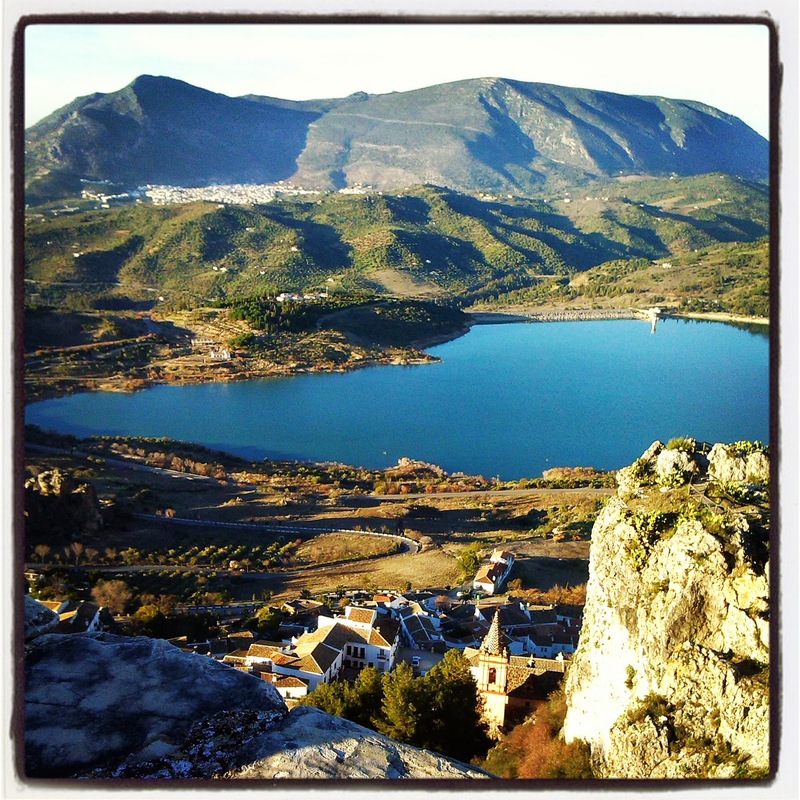 However it’s worth the climb as you get an astonishing 360 degree view of the Sierra Grazalema and the lake. If you have the chance visit the castle at dawn or dusk, I’m sure it would be an amazing experience. The village is gorgeous with its white houses and charming squares. Be advised though, some of the roads are very steep! As it was built on the side of a hill the difference of its lowest (300 m above sea level) and highest street (1100 m above sea level) is quite big. We both fell in love with this gorgeous place and I am sure that we’ll be back to stroll on its streets once more.